In this video, we give a quick introduction to the new video series and describe the set of modules we'll be covering, including Panels, Display Suite, Views, Feeds, a slew of administrative tools and more. Welcome to the "Advanced Site Building" collection. In this series, we're going to be covering many of Drupal's most powerful modules for laying out and displaying information on a site. 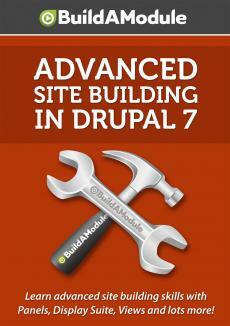 The tools you'll be learning are ones that you'll find yourself using on nearly every Drupal project. We'll be exploring how to build complicated displays of content with the Views module. How to lay out pieces of a page using Panels, Display Suite and Context. We'll explore how to import content using the Feeds module and how to create and modify a slideshow with the Views Slideshow module.